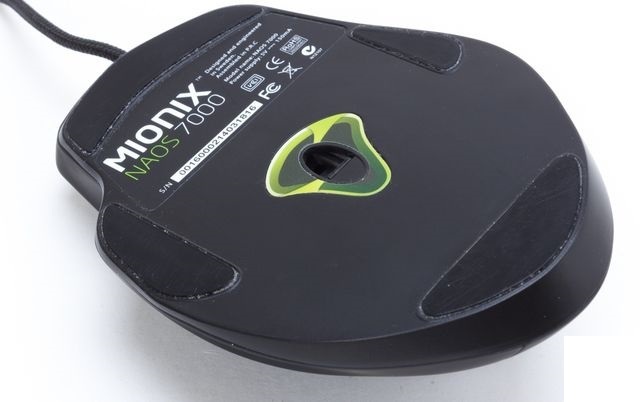 Mionix will at most have not been overly familiar, especially since it is hardly available. However, it is definitely a brand to keep in mind if you are looking for a new mouse. We were already impressed with the Naos 8200 we viewed the Naos 5000 already better. Both with the same comfortable shape for the high sense gamer. 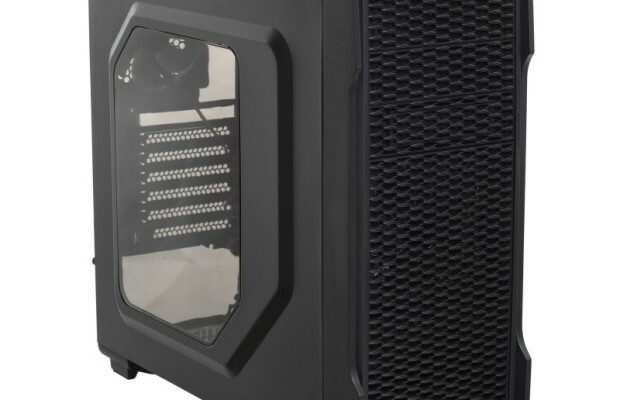 In this article we look at the Naos 7000 and immediately tackle the new Nash 20 headset of the same brand with. 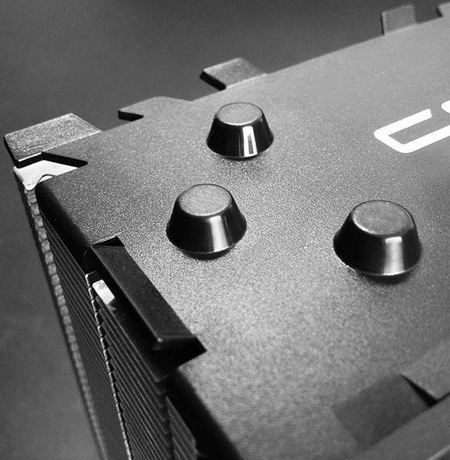 Both feature a subtle appearance with a matte black finish. 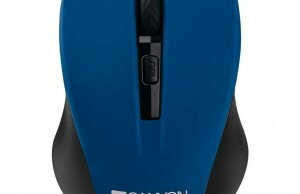 This is typical of products Mionix which usually have a chic look. By this matte finish looks reasonably large size of the headset anything from subtle. The ear cups and headband are a lot bigger than the average headset. The mouse is much like the previous mice Mionix Naos, the only real difference is that the LEDs miss who reported state DPI chosen the side. Via online shops in the UK, these products are not available, but the headset and mouse via the website of Mionix sale for 120 and 80 euros. In addition, the products are free shipping. These are amounts for products in the upper segment, therefore we are curious to see the performance. The Naos 7000 has an ergonomic shape that fails wide and is equipped with inlets for the fingers on the side. 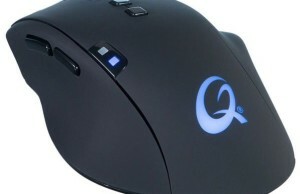 As a result, he explains very comfortable to use for those who are hand flat on the mouse. He is, however, not so easy to lift by the obliquely rising edge on the right side, so that this mouse is less suitable for low-sense gamers who often lift their mouse. Mionix has Avior mice are better suited for this. The mouse is equipped with a matte black rubber coating, which makes for a little more grip, and the scroll wheel and logo are illuminated with color customizable LEDs. The light can also breathe and off. The basic colors red, green and blue are displayed fine, but the more subtle light colors show soon a slight color cast of one of the basic colors. That’s no problem, but something to consider. For example, White has a clear blue color cast. All buttons are also adjustable in the driver software and can be stored in one of the five built-in profiles in the Naos 7000. The software can also create your macros with or without intervals and quickly add to one of the buttons. 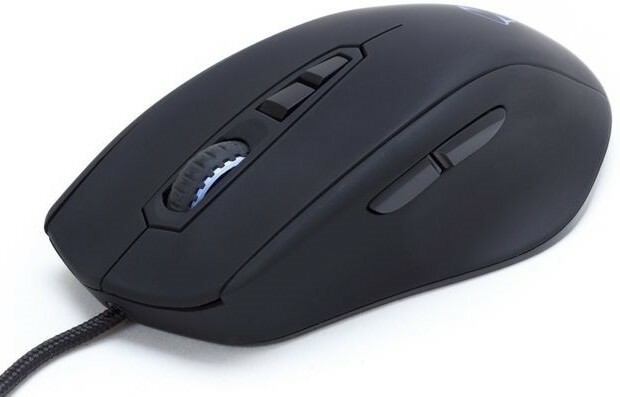 Only for changing the sensitivity of the mouse, there are two additional buttons with the scroll wheel in place and in addition, the standard browse side buttons. 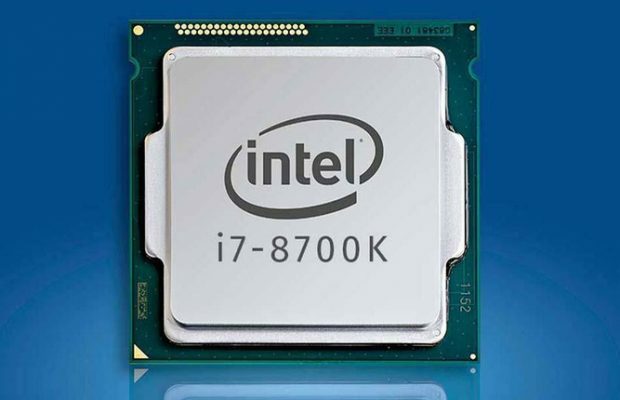 Institutions that takes you into the mouse can be used on another computer, but another driver installation software reads the profiles built out. As a result, it is not possible to adjust, for example, macros in the mouse and you will have to make macros again, do you want to make changes. 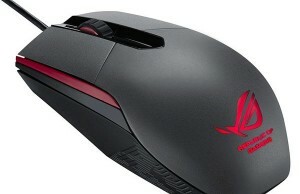 The performance of the mouse are fine and the sensor works well on both substances as hard cards. The lift-off distance of 2.4mm is not exceptionally good, but also not a problem seen this mouse is not intended to lift. The sensor is an optical LED, the Avago ADNS-3310, which has no positive or negative acceleration. The scroll wheel works fine and has a rubber coating for extra grip. Click on each actuation do not feel alone, but is also audible. That will not be an advantage for everyone. When a headset is the sound next to the comfort of the main property. Each ear incorporates a speaker that both the low, mid and high tones must simultaneously display. That means that there should be a proper balance in the representation of low, medium and high. A speaker stereo has previously often at least over two speakers, which simplified treble and bass can be displayed simultaneously well. For headsets have been compromises, especially in lower price ranges as around 70 euros. In a higher price range is possible with more expensive components, but not everyone wants to more than 100 or even 200 euros for a headset count down. That is the main difference between the lower price and more expensive models: a clear compromise in the distribution of tones. For example, let a headset with a very expressive bass normally hear less detail in the mids and highs. Opposite that works similarly. A headset with a sparkling middle and high, often lacks volume in the bass. When testing headsets we use a reference copy of which we know very well the sound. The relevant Thrustmaster Y250-C has a nice balanced sound, which we compared a lot of headsets. So we can clearly determine the placement of a tested headset. Has this much or little bass and get the mids and highs okay forward? Then we answer our test results for both the microphone and the sound. Bass, midrange and we give high reference scores. A score of zero indicates that the sound on that pitch is the same as the reference copy, and so nicely balanced. A headset with only pluses has an across the board better, balanced view than our reference copies and usually located in a higher price range. A number in the plus, up to a maximum of two points, represents a clearer view. Usually a powerful bass reproduction, which in the plus is evaluated, the result mids and highs are less present. For this purpose we have in the table also scores given two min to a maximum in order to indicate that certain tones are underrepresented. The other way this works equally. Even the sound from the microphone is important. We will look at the noise level in the image and the voice clarity. The test results for the mid bass and treble and microphone can be found in the tested products on our website and are also partially included in this article. 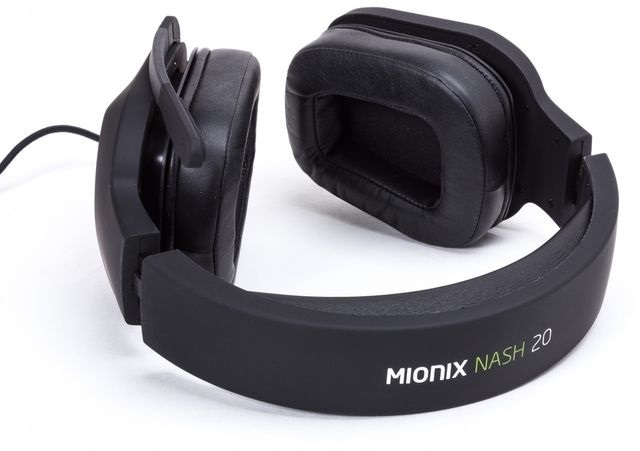 The Nash 20 headset is the first in the range of Mionix. This provides a reasonable strong drivers of 50mm in diameter and also has a fairly large headband and ear cups. Both feature neplederen cushions with so-called memory foam, which should make for a more comfortable fit. The adjusters of the headband are reinforced with aluminum so it will not break easily and the microphone can be folded up, these also turn off automatically. The long cord of nearly three meters braided for increased durability and to prevent knots, tipped with a regular 3.5mm analog jack for microphone and headphones. It lacks a volume control, which is in fact processed behind the left ear, so it is always easily accessible. The ear cups firmly against the head, but the comfort of this headset is fine for longer duration. The fake leather comes in its time or light stick to the skin. The adjusters are also remain well in place so that it need not be readjusted for each new session. What we do, however, care about us is the finish of the rubber coating on the headband. At the edges begin this at our prototype already exhibit wear, making the bare plastic is visible. We have Mionix been told that these issues have since been resolved and no longer present on new ones. The sound is fairly well balanced with a subtle bass. We note only have a slight dip in the middle frequencies, so vocal and speech sound duller than desired. You’ll get slightly more detail in the high tones. For the gamer who is looking for a lot of bass, this headset is not intended. The microphone has a bright image with a slight noise is not really disturbing at moderate levels. However, we sometimes suffer from mild bladder sounds. 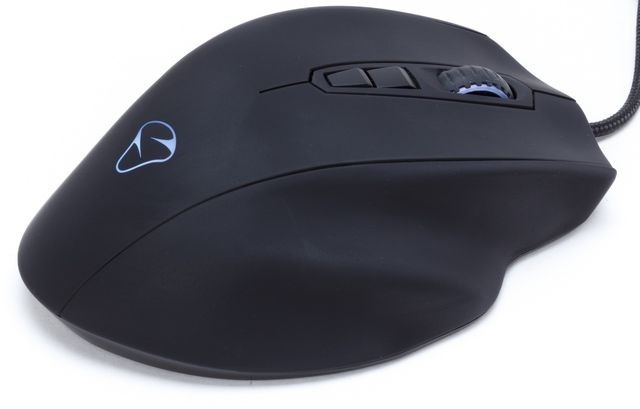 The Naos 7000 mouse, like his brothers Naos an ergonomic shape where the hand rests comfortably on. As a result, it is not suitable for left-handers and by the bevelled edge at the side not even for low sense gamers who often lift their mouse. In addition, the tracking and software are the Naos 7000 just fine, though it would have been better if the driver software also built profiles uitlas in a new system. 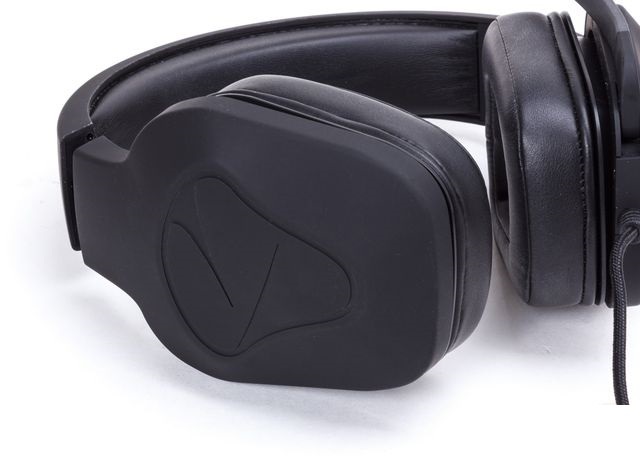 The Nash 20 headset sits firmly on the head, but it is comfortable, even during longer sessions. Only the fake leather can go eventually stick to the skin. The sound we just missed too much in the midtones to properly enjoy singing and speech. Certainly, we can not recommend this headset considering the asking price of 120 euros. For a more balanced sound you better watch as the Kingston Hyper X Cloud headset, which is available starting at 80 euros. The mouse, however, is a fine specimen and is one that should be like his brothers given the excellent fit and performance on your shortlist.